Aramco is the state-owned oil company of the Kingdom of Saudi Arabia. It is a fully integrated global petroleum and chemicals enterprise and a world leader in exploration, production, refining, distribution, marketing, and petrochemicals manufacturing. Aramco manages proven conventional reserves of 260.1 billion barrels of oil and the fourth-largest gas reserves in the world, 279 trillion cubic feet. Earthwatch’s relationship with Aramco is primarily through the company’s European affiliate, Aramco Overseas Company, which provides services to Aramco, including supply chain management, strategic sourcing, quality management, technical support, and administrative support. Aramco employees joined a specially developed training team in Kenya focusing on mangrove restoration, reforestation, and ecosystem service enhancement. Aramco Overseas Company became a corporate supporter in 2009. The Inspiring the Next Generation Program was launched in 2010 and ran for two years. 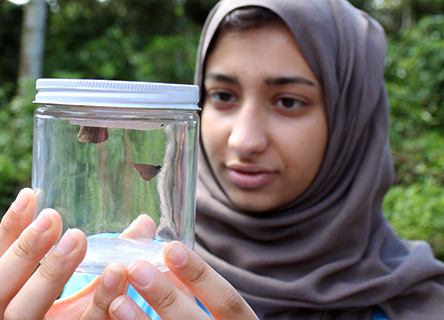 This program provided fully funded places on Earthwatch environmental research projects to young people from Saudi Arabia and the U.K., spreading cultural awareness and helping them to develop a connection to and passion for nature. 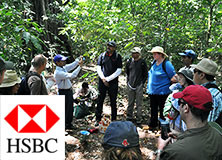 In 2012, Aramco supported Earthwatch research and environmental education focusing on business-relevant conservation issues. A team of Aramco Environmental Protection Department employees joined a specially developed training team in Kenya that focused on mangrove restoration, reforestation, and ecosystem service enhancement. This was designed to facilitate knowledge exchange between Aramco and Earthwatch scientists, with the aim of supporting Aramco’s ambitious mangrove reforestation program in Saudi Arabia, which will plant over one million mangroves along the Kingdom’s shores between 2011 and 2016. 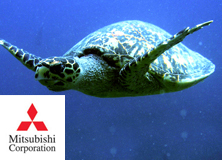 In 2015, the partnership continues to support new research by a young Kenyan scientist supervised by Professor Mark Huxham of Edinburgh Napier University and his team, on the ecosystem function of mangroves as nurseries for fish. 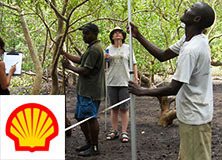 This research will extend the remarkable achievements of the Kenyan Mangroves project which has already contributed globally important knowledge on carbon sequestration by mangroves, and developed the worlds’ first community ‘blue-carbon’ credit scheme to support local sustainable development. Meanwhile Aramco employees based in Europe are working as volunteers on two key Earthwatch programmes: research on carbon and climate change in Wytham Woods in Oxfordshire, and monitoring of urban water bodies in The Hague as part of the FreshWater Watch programme. Thus Earthwatch’s partnership with Aramco is supporting important environmental research, which increases scientific knowledge and drives conservation action. 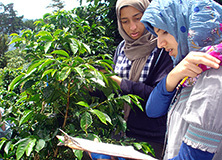 The partnership has also engaged a wide range of environmental stakeholders, including young people (the next generation of environmental ambassadors), early-career conservation scientists in the developing world (future environmental leaders), and Aramco’s employees (who can play an important role in improving the environmental performance of their company). Looking to the future, we hope to further develop our partnership in order to support Earthwatch’s global mission and help Aramco to fulfil its commitment to protect and nurture the natural world. The Aramco Overseas Company has been a corporate supporter since 2009. 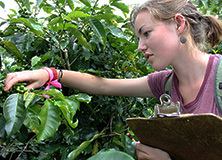 Engaging a wide range of environmental stakeholders, including early-career conservation scientists.